As China’s fertiliser industry is facing heavy pressure by environmental protection measurements and restructure, many market participants are unsure about the price development. 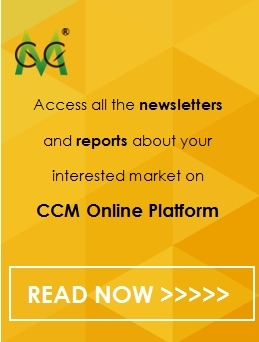 CCM predicts that the prices of fertilisers are not likely to surge in the short term because of the unbalanced supply and demand situation as well as other factors. CCM is predicting that China’s phosphate fertiliser prices will remain largely influenced by market supply and demand and are impossible to increase significantly in the short term. Even the recently announced capacity expansion limitation in the middle and upper reaches of the Yangtze River will not change that situation. According to market intelligence firm CCM, the Chinese think tanks and industry leaders of the domestic fertiliser market have gathered in the Annual Meeting of China’s Phosphate and Compound Fertilisers Industry in late April. It was disclosed during the meeting that phosphate fertiliser manufacturers in the middle and upper reaches of the Yangtze River will be strictly banned from expanding capacity and will be required to relocate to industrial parks. As a fact, middle and upper reaches of the Yangtze River are the main production area of phosphorus ore, pyrite, and natural gas. Hence, this region has developed into the largest manufacturing base of phosphate fertiliser and sulphuric acid in China. Due to the abundant resources, clusters of fertiliser and inorganic chemical companies also operate in this region. However, the local demands for phosphate fertilisers are far below the capacities, resulting in an unbalance. In 2016, the output of phosphate fertilisers in the Yangtze River Economic Belt reached 15.19 million tonnes, 82.95% of the national total. Nevertheless, the regional consumption was only 3.11 million tonnes, far behind the national figure, which was 8.43 million tonnes. In this context, the government attaches great importance to the structural reform and capacity expansion restriction of this industry. This policy has made many market participants unsure whether the prices of phosphate fertilisers in China will once again significantly increase. Looking at the capacity control of phosphate companies located along the Yangtze River, fertiliser prices should normally boost as a result. However, according to CCM’s research, the supply and demand situation in China, combines with import and export trends as well an environmental protection measurements contradict a significant price rise in the near future. China’s production of phosphate fertilisers in the first quarter of 2018 went down by 7.2% compared to the same period last year. However, this small decrease is not substantial enough to drive up market prices, neutralising the unfavourable influence of low downstream demands. Currently, some compound fertiliser companies have already purchased mono-ammonium phosphate (MAP) for storage, which indicates the demand during the traditional peak season, which happens to be in the months June and July, will be smaller than before. The FOB prices of China’s diammonium phosphate (DAP) have recently increased due to the larger demands from India. However, this price is only slightly different from the average domestic ex-works price in the first quarter. Therefore, the domestic phosphate fertiliser prices are not likely to soar. Additionally, China exported 2.71 million tonnes of MAP and 6.40 million tonnes of DAP in 2017, relatively high records in recent years. However, the export volumes this year are estimated to drop YoY triggered by the capacity increase of some international enterprises. Furthermore, the phosphate fertiliser industry in China is now facing more stringent environmental policies which require high-level disposal of waste water, gas, and residues. Unqualified factories are to be rectified or shut down, reducing the overall market supply of phosphorus ores and thus lifting phosphate fertiliser prices. Nevertheless, the implementation of environmental protection law may progress slowly, and so will do the price change. Even the operating costs of phosphate fertiliser manufacturers will keep an upward trend, forcing them to quote for higher prices, the actual transaction prices, on the other hand, is strongly determined by downstream demand and market supply. It is worth noticing, that China's demand for fertilisers from the agricultural industry is expected to slide down due to the implementation of the zero-growth of fertiliser usage and a price cut of agricultural products. However, this decrease can be easily offset by increasing demand from other industries, preventing China's fertiliser prices from falling. China has developed into the world's largest manufacturer and consumer of fertilisers. After all, the Middle Kingdom uses more than a third of the world's fertilisers available, which is equivalent to the combined consumption of the USA and India. China is in heavy need of fertilisers to satisfy its growing demand for crops and other agricultural products. According to CCM, China uses 40% of its fertilisers on cereal crops, while another 33% is used for fruits and vegetables. The biggest challenge that the country faces is the feeding of its 1.4 billion population with only about 8% arable land. Hence, chemical fertilisers are developed and produced heavily to boost crop yields and scale up agricultural production. The excessive use of chemical fertilisers, however, is raising environmental and food safety concerns. China’s fertiliser industry is facing both serious problems and new development opportunities. serious oversupply, cutting excess capacity has been a consensus. Currently, domestic fertilizer capacity has reached 200 million MT. 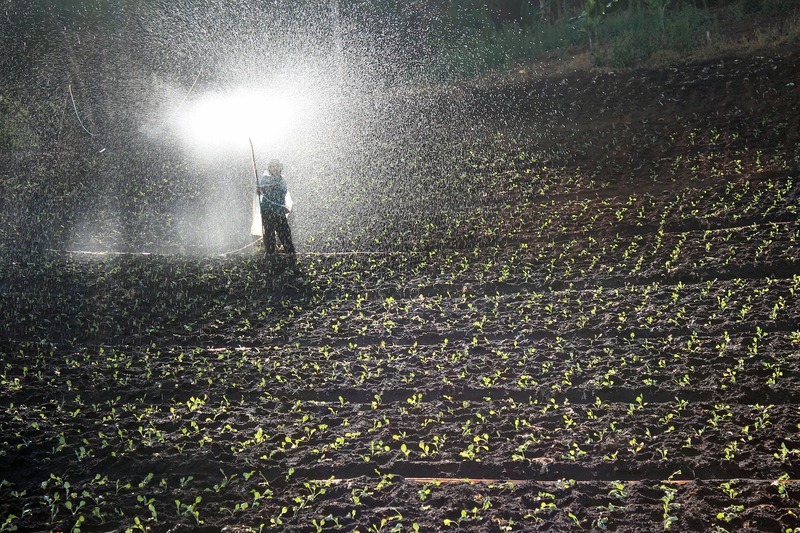 Along with the pressure from policies, reducing the use of fertilizer has become inevitable. 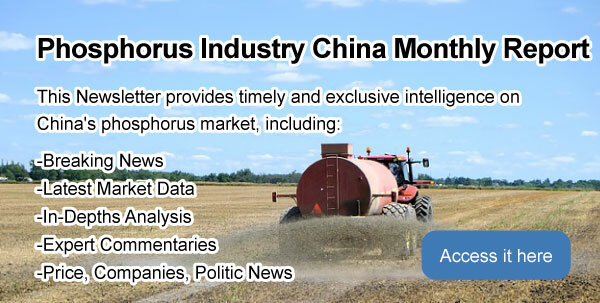 Get regular updates on China’s fertiliser market by subscribing to CCM’s monthly published China Phosphate Chemicals News.